I’ve received the sad and regrettable news of the death today of the beloved Roger Tilleman at the age of 68 who passed away after 10 days in intensive care in an artificial coma due to a sudden abdominal aortic aneurysm. 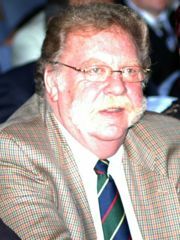 Roger was a member of the Royal Belgian Boxing Federation and a well-known EBU and WBC ring official. We send our condolences to his family and friends and recognize the loss of someone who was a great colleague to everybody and a man dedicated to boxing. Goodbye Roger, may you rest in peace.